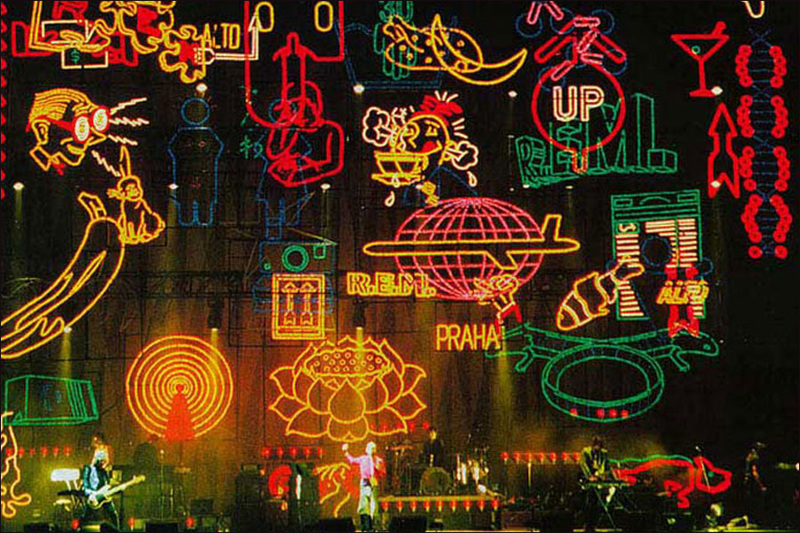 We were asked to create computer drawings so that the show designers and the band themselves could begin to see how the stage set would look for the ‘Up’ world tour of 1999. 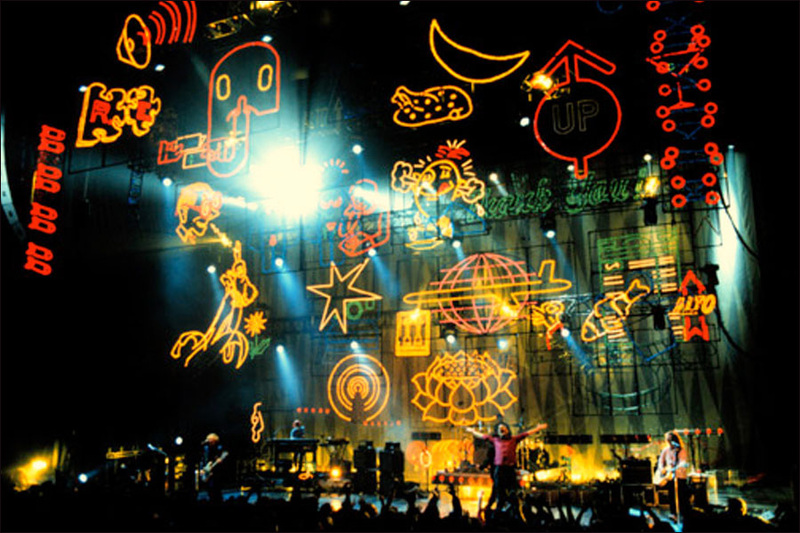 Geography was completely irrelevant to the design process of R.E.M.’s stage production for their 1999 tour. Conceived in San Francisco, illustrated and rendered in Cambridge, constructed in Guang Dong, China and performed around the world. Mono Industries took my concept sketches and produced Photoshop renderings of the proposed stage production which were in turn presented to the client. And approved! Willie Williams. Show designer, R.E.M.